Ask Trump supporters why they voted for Trump and you’ll often hear two words: Illegal Immigration. “Deport them all and build a wall to secure the border with Mexico,” they say. “We can’t let people get away with breaking the law.” The simple fact, though, is that sending troops to round up and deport 11 million people – 3.4% of the US population – is not humane or feasible. It would tear families apart and devastate the US economy. It is not a realistic or desirable option. Consequently, illegal immigrants remain in the US in a sort of purgatorial legal limbo. Which means millions of people living under a shadow of illegality, millions of people who can’t fully contribute to the US socially, economically or culturally. Build the Wall vs Pathway to Legal Status. It has been debated for years. The way out of the impasse may be a simple compromise: Do Both. Create a way for illegal immigrants to acquire permanent status AND build a wall along the US-Mexico border. Our Pioneer Forebears: Illegal Immigrants? But if the US gives legal status to illegal immigrants, isn’t it rewarding law-breakers? Actually, the first time the US faced a large-scale illegal immigration issue, it decided to do just that, to reward the law-breakers with a pathway to permanent status. Here is what happened. As young America grew in the 1700s and 1800s and settlers and farmers moved westward from the Atlantic seaboard, systems were set up for them to buy land from the government. But the prices were high and the rules were often complex and unclear. So thousands of people simply ignored the laws, moved west, and began building cabins and planting crops. They were illegal immigrants. American politicians had a choice: forcibly remove the illegal immigrants, or change the law to give them legal status. They wisely chose the latter. Between 1834 and 1856, numerous states passed laws allowing settlers illegally occupying land to acquire legal ownership of the land. 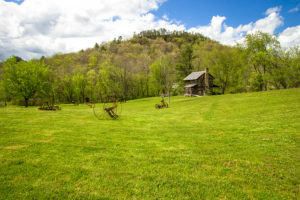 Generally, the state would grant legal title if a settler could show use of the land for a certain number of years, and paid any overdue property taxes. Consequently, hundreds of thousands of illegal “squatters” acquired good legal title to land they had occupied illegally, following the government-created pathway from illegal immigrant status to permanent status. The US needs the same “win-win” regarding today’s illegal immigration issue. Rounding up and deporting a large number of people is as wrong-headed today as it was in the 1800s. But more importantly, changing people’s status from illegal to legal would be tremendously beneficial, not only to the immigrants, but to the US as a whole. At the moment, the energy of millions of illegal immigrants is a resource only partially tapped. By removing the shadow of deportation and illegality from their lives, the US would unleash an economic dynamo that would benefit all of America. With their place in America secure, the formerly illegal immigrants would be able to put down real roots, buy homes, start businesses, invest in themselves and their children. Just like immigrants in western Kentucky in the 1840s. But Donald Trump, as noted, was elected partly because he promised to deport illegal immigrants. What hope do they have now for a pathway to permanent status? Building a wall along the US-Mexico border may help make that pathway to permanent status possible. There are many good reasons to oppose building such a wall. It would represent the sort of “keep out” mentality that is the opposite of a free and open society. It would be expensive. Donald Trump estimates a price-tag of $10 to $12 billion, while the Washington Post estimates a cost of $25 billion. (But to put those numbers in perspective, twenty-five billion dollars is only about 20 days’ interest on the federal debt.) And even a perfect wall would not stop all illegal entry: about 40% of illegal immigrants reach the US legally and simply overstay their visas. Nevertheless, there are good reason to build the border wall. First, every nation is properly allowed to control who enters, and it is hard to argue that the US has full control of its 1,900-mile border with Mexico. The difference between the economies of the US and the nations to its south creates an inevitable draw to the US. While a wall would not solve the problem entirely, it would help. 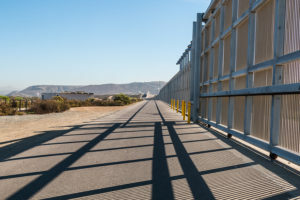 Border wall near San Diego, California. Also, many workers in the US believe their job prospects are hurt by illegal immigrants willing to work more hours for lower wages. While the evidence seems to show that wages are not significantly affected by immigration, legal or illegal, the worry is understandable. A wall helping to control future illegal immigration might ease that concern. Which leads to the most important reason: Building the wall may be the only way to get enough voters and politicians to agree to grant legal status to illegal immigrants. Many argue that since the US-Mexico border is not “secure,” granting legal status to illegal immigrants would merely entice future illegal immigration. The US, they say, should not consider granting legal status to illegal immigrants until the US “secures the border.” So maybe it is time to make a deal. In exchange for a law to provide millions of illegal immigrants a way to acquire legal status, the wall gets built. Perhaps the wall is the price for a new pathway to permanent legal status. Which would be a “win-win”, just as it was in the 1800s.